"Libraries Transform" is the theme for National Library Week in 2017.
observance sponsored by the American Library Association (ALA) and libraries across the country each April. It is a time to celebrate the contributions of our nation's libraries and librarians and to promote library use and support. All types of libraries - school, public, academic and special - participate. Monday, April 10: State of America's Libraries Report released, including Top Ten Frequently Challenged Books of 2016. Wednesday, April 12: National Bookmobile Day, a day to recognize the contributions of our nation's bookmobiles and the dedicated professionals who make quality bookmobile outreach possible in their communities. 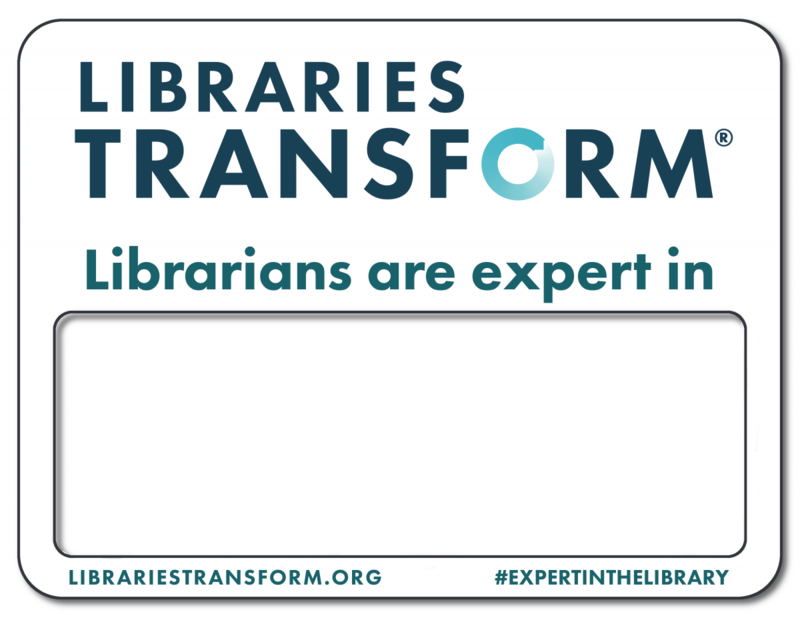 Thursday, April 13: Take Action for Libraries Day, a day for national library advocacy efforts. Libraries of all types are evolving to meet the needs of the communities they serve. Elected officials, small business owners, students and the public at large depend upon libraries and the resources they offer to address the needs of their communities. By providing such resources as eBooks and technology classes, materials for English-language learners, programs for job seekers or a safe haven in times of crisis, libraries and librarians transform their communities. At the Delaware County District Library we are transforming by providing internet connectivity for households that would not otherwise have a wireless connection; by supplying parents, caregivers and educators with resources to prepare children for reading; and by listening for the community’s needs and collaborating to create solutions. Libraries also offer something unique to their communities, the expertise of individual librarians. Librarians assist patrons in using increasingly complex technology and sorting through the potentially overwhelming mass of information bombarding today’s digital society. This is especially crucial when access to reliable and trustworthy data is more important than ever. Nominate a Stellar Library Worker - It can be anyone you know who works at a library. You can also nominate anonymously. Just let someone know you appreciate what they do. 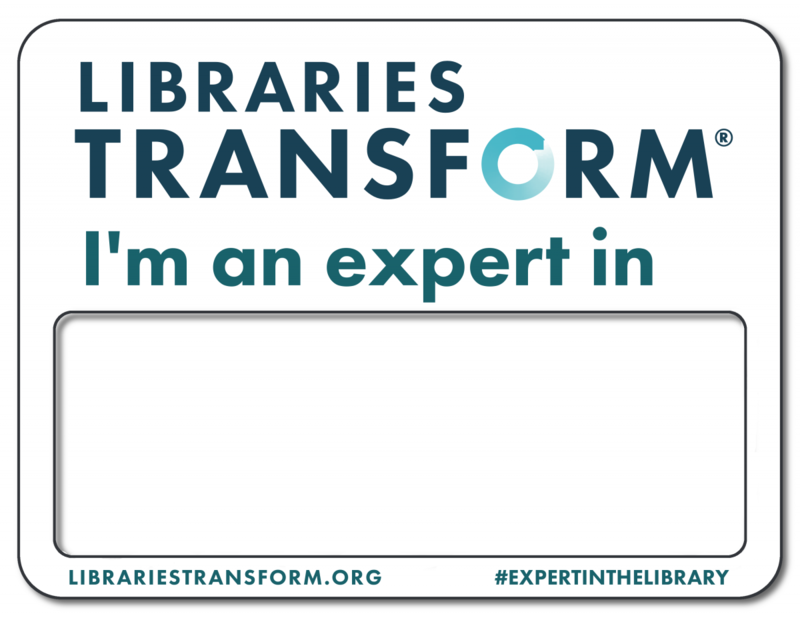 #ExpertInTheLibrary - Post to Instagram or Twitter and use the hashtag #expertinthelibrary between Saturday, April 8 and Sunday, April 15 to win a chance for a $100 gift card. Download and print one of the badges below for added creativity. Bonus points if you tag us @delawarelibrary! Tell a Story - Let us know how a library has helped transform an aspect of your life or the life of a loved one. Want to tell us on video? We'd love to share it on our YouTube page! 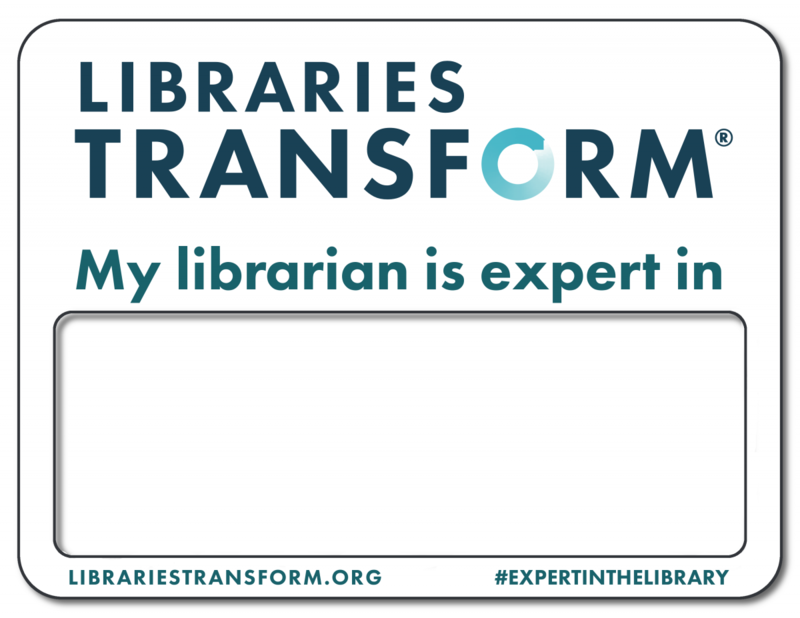 Add a Twibbon - Temporarily change your profile picture on Facebook or Twitter to include a "Libraries Transform" banner. Instructions are available here.